I know what you might be thinking, is the bathroom really the right place to relax in? But there are studies that prove that taking a nice long bath or shower in the warmth can help you get into the mindset of relaxing, especially if you have had a tough day. But if your bathroom really isn’t that inviting at the moment then don’t despair. Here are some of the ways you can create a relaxing environment in your very own bathroom. 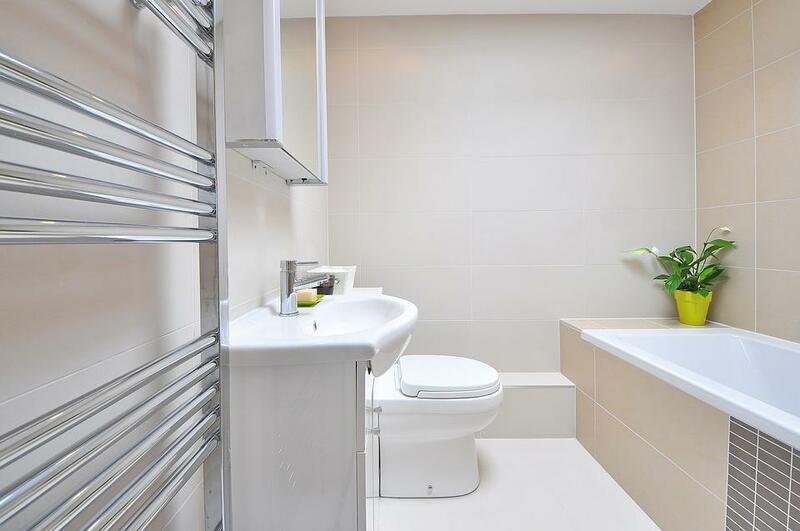 A big change that you could make to your bathroom is to completely invest in a new one. Obviously this is the most pricey thing to do, but if you don't like the bathroom, it could be the only way to encourage you to spend more time in there. If it is a viable option, make sure that a plumber is the one to fit it for you to ensure that everything will be working as it should be. While it may be a pricey investment now, it can actually add on considerable value to your home, so it definitely could be worth the consideration. If you can’t get a new bathroom suite then why not pay attention to the one you have and give your bathroom a thorough clean. Often just doing this can give you a new sense of love for your current bathroom environment, and certainly make it more appealing to be in there. Pinterest is full of remedies you can use to get your bath sparkling clean. If you want to relax it is all about creating the right environment. Consider what you might need and have in your bathroom and change things up a little. Perhaps invest in some new towels or a new robe. Maybe get some scented candles and scatter them around the room. Even changing other accessories to help the bathroom feel more relaxing or adding things like house plants to give it that spa feel. If relaxation is what you need then maybe you need some new products to help you do it. A nice relaxing bubble bath and a new face mask is often two places to start. You could even think about what you want to do to relax, so a new book to read in the bath or simply something to listen to like a guided meditation on your smartphone. On the subject of things to listen to, your phone is a great source for downloadable applications like meditations, audible books, or even relaxing music. Sometimes you need the distraction to keep you relaxed, and your phone can surprisingly do that. Try and avoid using it for social media or other distractions, but certainly for listening to something it could prove useful. I hope that these tips help you to create a relaxing environment in your bathroom.